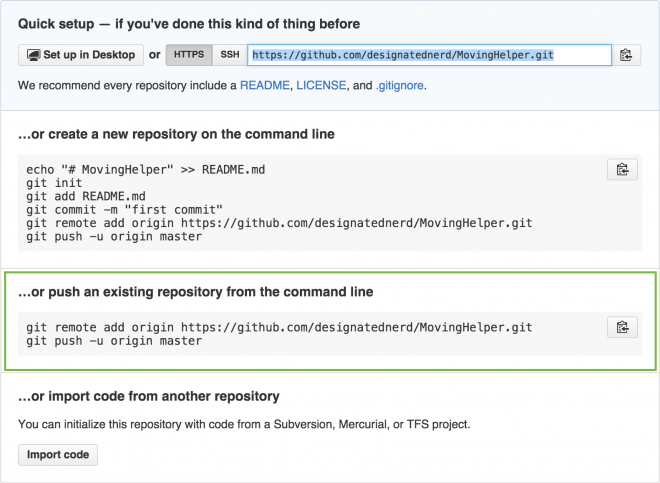 In this Travis CI tutorial, learn how to set up the popular continuous integration service, and integrate with GitHub so your tests are run automatically. You’ve got 99 problems, and testing is one of ’em! Developers know that testing an application thoroughly is necessary to catch problems before they affect users. Forgetting to test can result in complications like annoyed clients, ranting one-star reviews in the App Store, and bruises from smacking yourself in the head for letting simple mistakes slip through the net. But remembering to run tests before each commit or merge can be tough if you have to do it manually. What’s a time-crunched developer to do? Thankfully, Continuous Integration can save the day. Continuous Integration, often abbreviated to just CI, is the process of automatically building and running tests whenever a change is committed. Now, Apple has their own solution for this with Xcode Bots, which are designed to run on OS X Server. But the downside of Apple’s solution is that you, yes you have to manage the entire process. You have to set up and maintain OS X Server and Xcode versions on the server, figure out access control for viewing results, and handle provisioning and signing issues. Sounds like a lot of work, right? You don’t have time for this; you have code to write, apps to design, and happy hour to get to – that beer isn’t going to drink itself. Shout it to the cosmos with me: there must be an easier way! Luckily, the cosmos heard us, and responded with Travis CI. Usually simply called Travis, it’s a Continuous Integration service that is free for open-source projects and has a monthly fee for closed-source projects based on how many simultaneous builds you want to run. Travis sets up “hooks” with GitHub to automatically run tests at specified times. By default, these are set up to run after a pull request is created or when code is pushed up to GitHub. 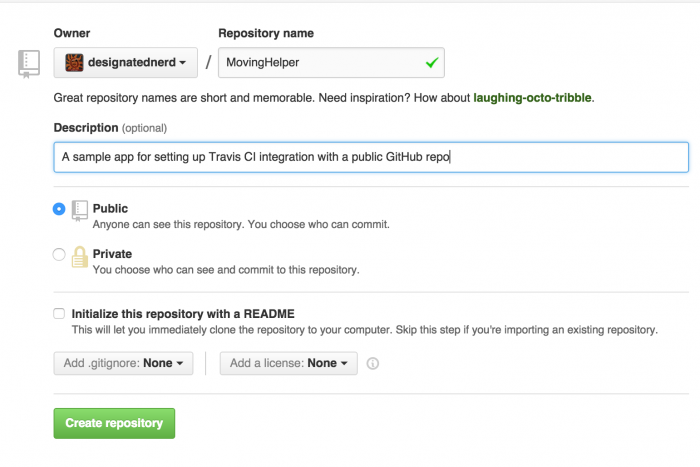 In this Travis CI tutorial, you’ll use a public GitHub repo and the free version of Travis to set up tests that run every time you try to merge new changes into that repo. You already have a GitHub account. If you don’t, sign up for a free one here. Git is installed on your system. You can check this by opening up Terminal and typing which git. If there’s a result – typically /usr/bin/git – then you’re good to go. If not, you can download an installer from the Git website here. Let’s do this! Download the starter project, then open up the zip file and put the resulting MovingHelper folder on your Desktop so you can find it easily. 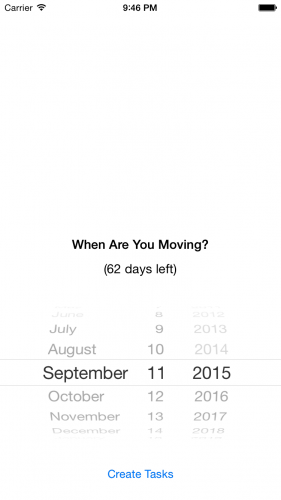 MovingHelper is a to-do list app which, as you might suspect from the name, helps manage tasks related to moving. 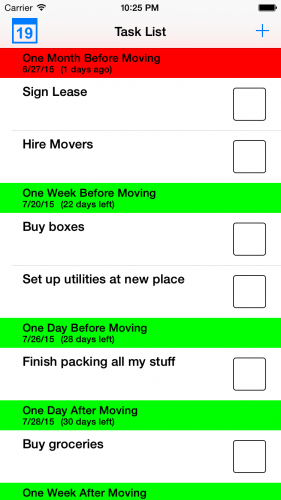 The app has created a list of tasks. The red sections are past-due tasks, while the green sections are upcoming tasks. So far so good, right? Now that you know the tests are passing, you’re ready to get GitHub and Travis set up to run them automatically. git commit -m "Starter project from raywenderlich.com"
Now that everything is committed locally, it’s time to create a public repository on GitHub. This is what Travis will watch for changes. Note: Leave this Terminal window open as you’ll need it again later, and it’ll save you having to navigate back into the appropriate folder. The owner will be you. Name the repo MovingHelper, give it a brief description, make sure it’s public, and don’t add a README, license, or .gitignore as these are all included in the sample project. 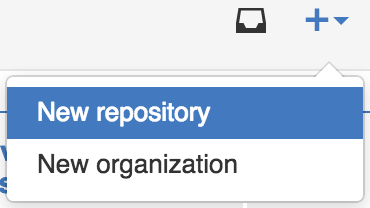 Next, click the big green Create repository button. You’ll see a page explaining how to get your code to GitHub. Leave this page open in a tab of your browser – you’ll want to come back to it shortly. 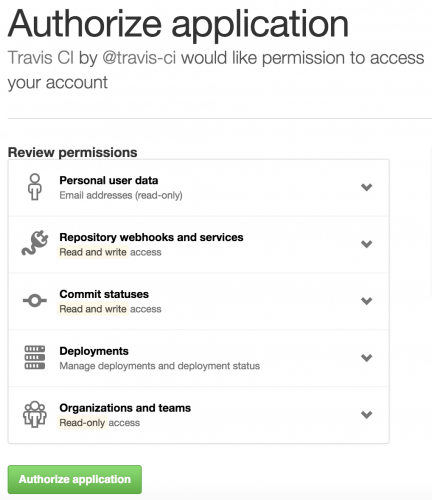 Travis needs access to read and write webhooks, services, and commit statuses. That way that it can create the automated “hooks” it needs to automatically run when you want it to. Enter your password and click Confirm password. Now you’re on the Travis “getting-started” page. Click that to be taken to your Travis profile page. You’ll see an alphabetical list of all your public repos. If you haven’t set up Travis previously, they should all be unchecked. There! 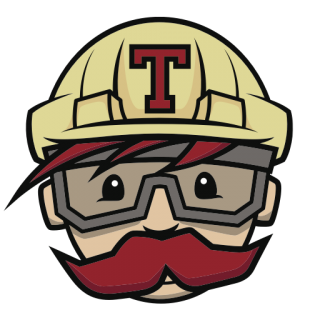 Travis is now watching for changes to your MovingHelper repository. Copy the text from that section either manually or by clicking the clipboard icon on the right, then paste it into Terminal and press enter. 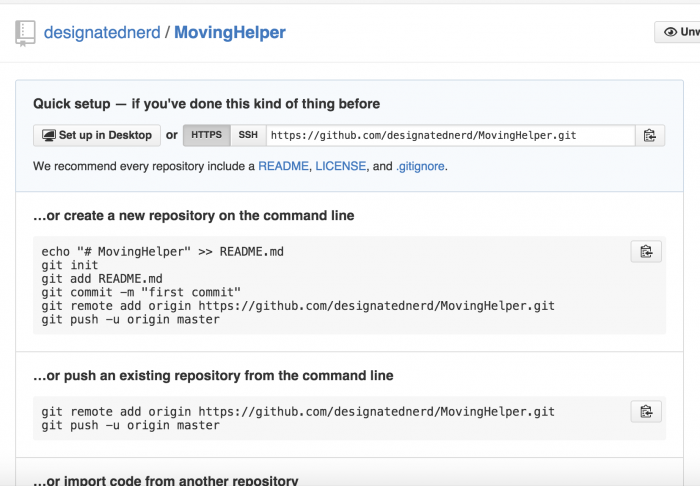 This adds your new GitHub repo as a remote and pushes everything up to it. Since Travis is now watching this repo, it will notice this push and put a build in the line of all the other open source builds waiting to be run. Could not find .travis.yml, using standard configuration. What does that mean? 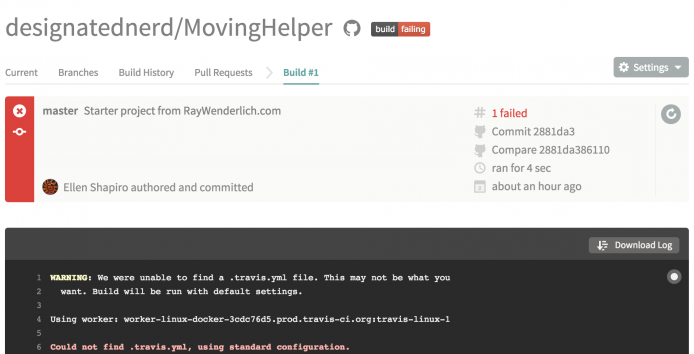 Well, .travis.yml file uses YAML to tell Travis how to set up a build. Since Travis works with many different languages, it doesn’t know how to build your specific project without some information about what kind of project it is. Next, open your plain-text editor of choice. TextWrangler is particularly helpful here because it highlights the syntax of YAML files automatically, but any plain-text editor will work. Create a new document and save it in the root of your repo as .travis.yml. Note: You may get a warning about names prefixed with a . being reserved for the system, but use the dot anyway – Travis will be looking for a file named exactly .travis.yml, so the dot is safe to use here. 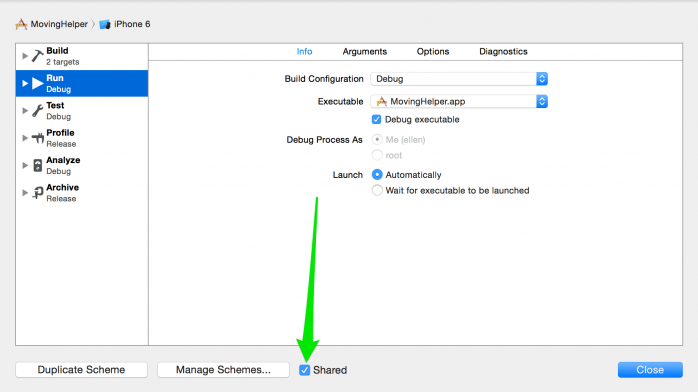 Use the Xcode 6.4 tools to create the build, since you’re using Swift 1.2. This presently requires specifying which VM image you want to use – in this case xcode6.4. Use the specified Xcode project file. Note that if you have a project you want to build using an .xcworkspace (for example, a project using CocoaPods), you can replace the xcode_project parameter with xcode_workspace and use your .xcworkspace file as the value instead of your .xcodeproj. Use the specified scheme to decide what tests to run. 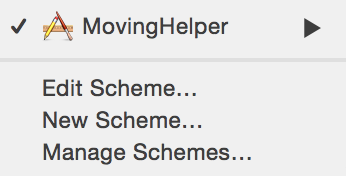 Since your default scheme is called MovingHelper, Travis should use that scheme. Run the tests on an iPhone simulator, because doing so does not require setting up code signing (which is not covered in this tutorial). git commit -m "Added .travis.yml file"
Click the green Compare & pull request button. Note: If you don’t see Recently Pushed Branches, click the green button next to the branch name. 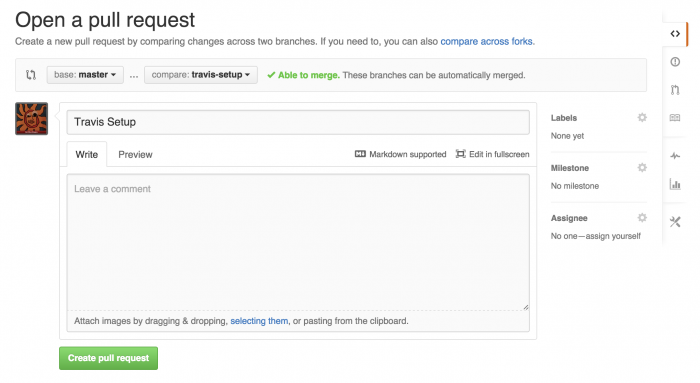 Leave the base branch as master, but change the compare branch to travis-setup, and then click Create pull request. Argh! You’ve added the .travis.yml file like you were supposed to, so why isn’t it working? git commit -m "Added shared scheme"
Once the build completes, you should see what you’ve been waiting for: green! Each item with a green checkmark next to it is a passing test – and as you can see with the happy green text at the end, all of the tests are passing! Woohoo! Go back to your GitHub page and click the green Merge pull request button, then click Confirm merge to officially merge your changes. Now that your tests are running automatically, it’s time to tell other people that your tests are passing by adding a badge to your README which shows the current status of the build on Travis. Now that the merge commit has been merged back into your travis-setup branch, open up the README.md file from the root folder of your project in your markdown or plain-text editor of choice. 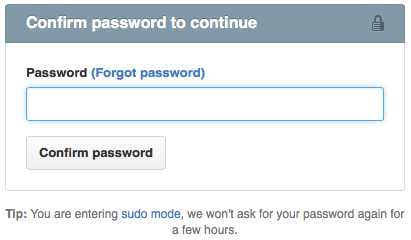 Don’t forget to replace [your-username] with your actual GitHub username. You’ve just added a link to a graphic which will be a “passing” or “failing” badge served up by Travis based on the status of your build for the branch specified in the branch URL query parameter. git commit -m "Add Travis badge to README"
Go back to the GitHub page. Follow the same steps as before to create a new pull request. 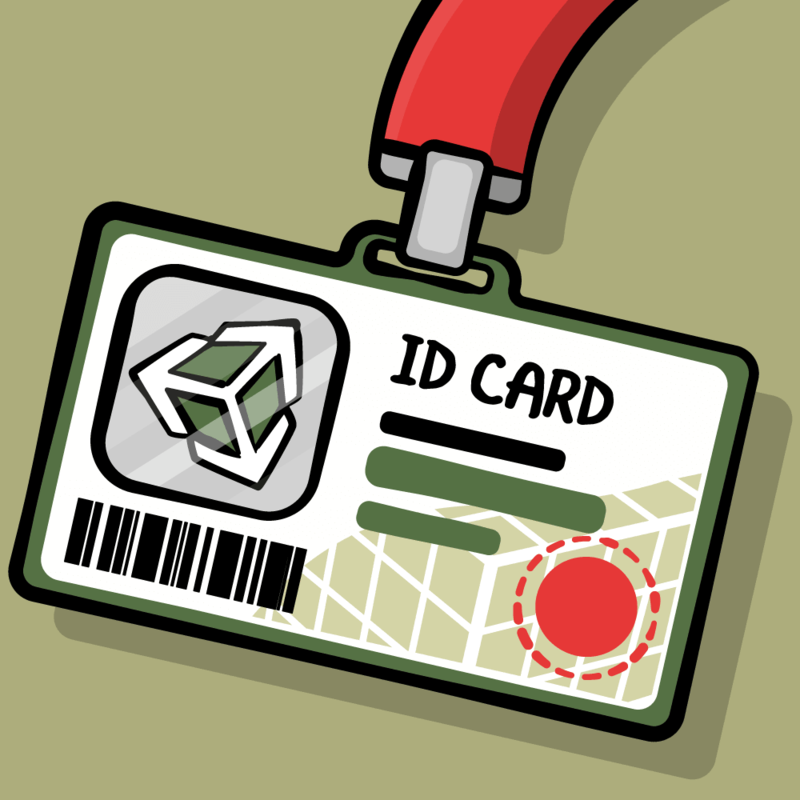 Name this new pull request Badges, and click Create pull request. To see the problem you want to fix, build and run the application, and check off one of the boxes. Build and run again. The box is no longer checked. Oops! When you get a report of a bug from a tester or a user, it’s a good idea to write a test that illustrates the bug and shows when it is fixed. That way, when the tests are run you can be confident that the bug hasn’t magically reappeared – commonly known as a regression. Build and run. Check off an item, then stop the app. Build and run again. Hooray, the item is still checked off! git commit -m "Actually saving done state"
Now that you have fixed the bug, it’s time to write a test which Travis can run automatically. That way if things change, you’ll know immediately. Create an expectation for which to wait. Since the delegate is a separate object from the test, you may not hit the success block immediately. 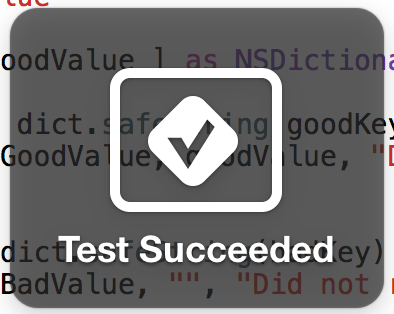 Create an inline struct, conforming to the test delegate, which allows you to check and see whether it was called or not. Since you want this struct to tell you when the expectation has been met, and do a check based on a value you pass it, you make it accept both the expectation and the expected values as parameters. Set up the test task and verify its initial value, then configure the cell. Make sure the checkbox has the proper starting value. Fake a tap on the checkbox by sending the TouchUpInside event which would be called when a user tapped on it. Make sure everything gets updated – starting with the checkbox by verifying its state has updated, and then wait for the expectation to be fulfilled to make sure the delegate is updated with the new value. git commit -m "Test marking tasks done"
D’oh! The force-unwrap of an IBOutlet didn’t work, so the test crashed. Why would that be? If you think about how the TaskTableViewCell is normally created – through the cell reuse queue managed by a view controller loaded from a storyboard – this crash makes sense. The cell isn’t being loaded from the storyboard, so the IBOutlets don’t get hooked up. Fortunately, this isn’t too hard to fix – grab a reference to a cell from an instance of MasterViewController instantiated from the storyboard, and use its tableView(_:cellForRowAtIndexPath:) method to grab a valid cell. git commit -m "Update grabbing cell for test"
Click the Merge pull request button, then the Confirm merge button, and you’re done. This tutorial has only scratched the surface of what Travis CI can do. No, it won’t fetch you coffee, or beer, but Travis is useful for considerably more than just running tests. Using post-build hooks, it can upload the results of your build to an AWS S3 bucket automatically with minimal configuration. You can set up pre-build scripts to install and post-build remove certificates from the keychain to create signed builds. 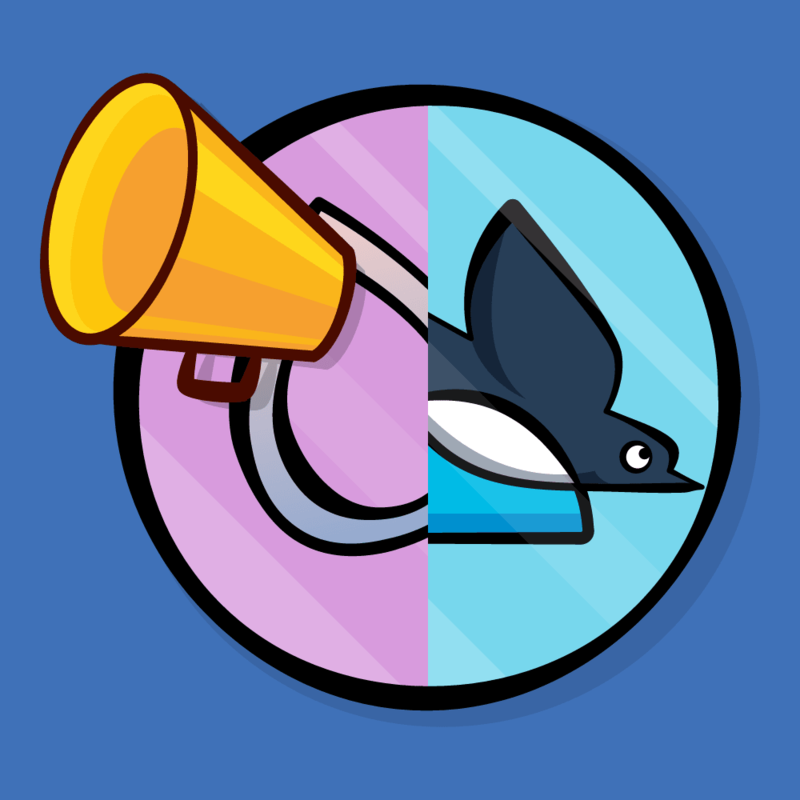 If you’re creating signed builds, you can also add post-build scripts to automatically upload builds to HockeyApp or iTunes Connect whenever tests pass after a merge. Travis isn’t always sunshine and lollipops, however. New versions of Xcode are not typically made available until they’ve been publicly released. This means you can’t use Travis to build a version of your app that’s using a beta SDK. Since they have a paid service, Travis has an incentive to upgrade everything in a timely fashion. Sometimes, however, that incentive doesn’t cause them to upgrade fast enough for everyone’s tastes. If you always need to be on the bleeding edge, keep this in mind. Build machines can be a bit slower than your local machine. Particularly if you’re running UI tests with KIF, you may run in to instances where the slowness of the build machine means you see race conditions you wouldn’t see on real devices, or test flakiness on the build server you don’t see locally. You get a lot of information in the logs from Travis, but you can’t get crash logs without setting up scripts to upload them to a third-party service after a build complete. All tests are run on simulators. If you have tests which must be run on a device, Xcode Bots is a better choice since it can run on both simulators and real devices – although this comes with the responsibility to manage provisioning and signing. General Build Configuration Guidelines, which give a good overview of the Travis build process. Travis Objective-C documentation, which also covers Swift projects. Travis OS X CI Environment documentation, which helps determine what is or is not included in the default environment on OS X, as well as stock environment variables you can access in your .travis.yml file. I’ve hope you’ve enjoyed this Travis CI. If you’ve got and questions then please feel free to ask them in the comments below!